Proper tree pruning techniques are not one size fits all. 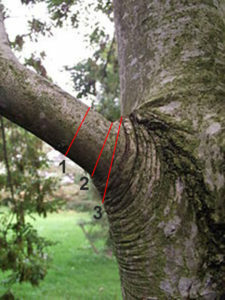 Not all trees are shaped the same so some may require different pruning techniques. There are many tree pruning techniques depending on your needs and what is best for the health of your tree. Below we discuss harmful and proper tree pruning techniques. There are a lot of companies still using improper tree pruning techniques. Typically these companies do not use improper techniques out of malice but because they lack knowledge of newer proper techniques. In the last 20 years, the Arboriculture industry has made great strides in understanding the biology of trees and how to best take care of them. A lot of the techniques we warn about below were once industry standards but now we know how harmful they are. Tree topping is a harmful practice that removes large branches or whole tops of trees. Topping stresses the tree and can lead to health decline, structural defects, and infection. Starvation: Good pruning practices rarely remove more than ¼ of the crown. Removing too much of the tree’s leafy portion (topping) interferes with the tree’s ability to manufacture food. 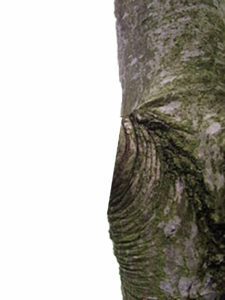 Shock: When a tree’s crown is removed the remaining bark tissue, which is not usually exposed to direct rays of the sun, can sustain scalding similar to sunburn. Insects & Disease: Large stubs left after being topped have a difficult time forming callus. These stubs are highly vulnerable to insect, disease and fungi infestation. Weak Limbs: New growth that sprouts after a larger limb is removed tends to be weakly attached. Weakly attached limbs are more prone to breakage and falling. 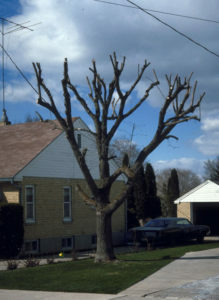 Tree Death: Some tree species, like beeches, are less tolerant to topping and will not sprout after severe trimming. These trees will likely die after being topped. Ugliness: Trees are disfigured by topping. Even if the tree recovers from the topping it will never regain the character of its species. Cost: Topping a tree requires less skill than properly pruning a tree. Therefore, topping usually costs less in the short run. 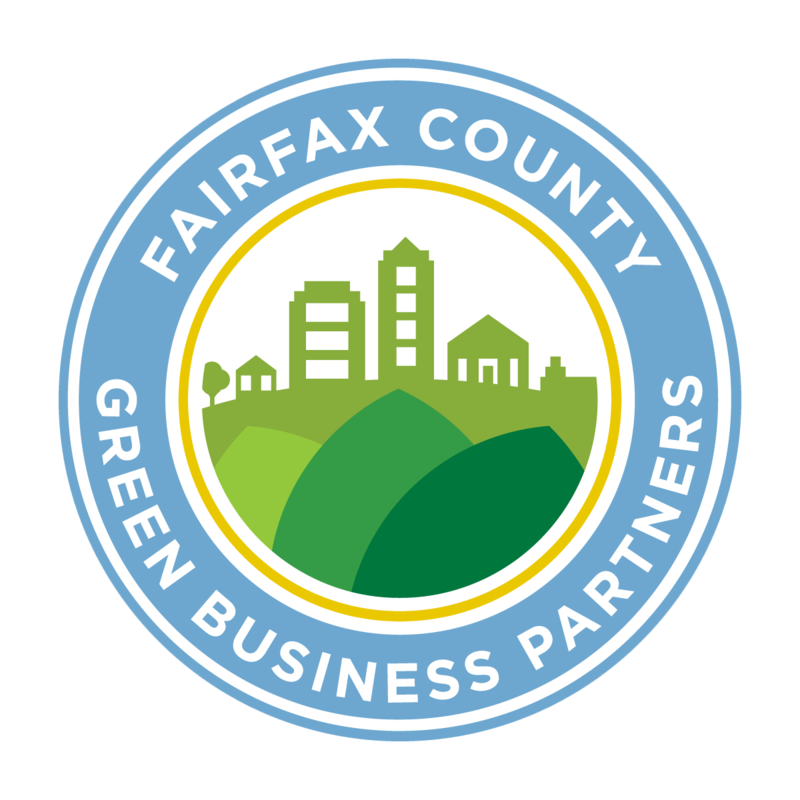 But the true costs of topping lie in reduced property values, removal expenses if the tree dies, treatment expenses if the tree contracts insects or diseases, the risk of liability and injury from weak branches, and increased future maintenance. For many years it was common practice to use flush cuts. Thanks to further research and new knowledge as an industry we now know that flush cuts are harmful to the tree. 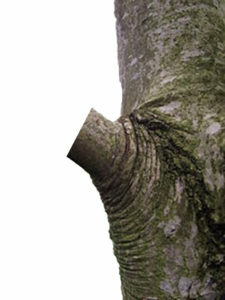 Flush cuts are made too close to the trunk and remove the natural protection boundary of the tree. This can lead to trouble healing and decay to begin in the trunk. On the other hand, leaving stubs when you prune is detrimental to the tree often causing the stub to rot and cavities to develop. WRONG: This pruning cut left a stump. WRONG: This is a flesh cut. 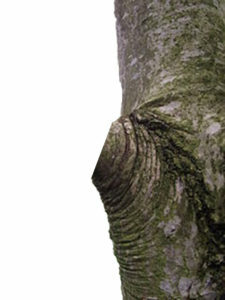 The branch collar and part of the trunk were removed. CORRECT: This cut is right outside of the branch collar. This will allow it to properly heal. Lion’s Tailing is the over-pruning of the interior branches of a tree’s crown. This unbalances the crown, distributing future growth towards the branch ends and shifts the tree’s center of gravity higher. Between the center of gravity change and weaker branch structure trees that have been lion’s tailed are more likely to snap easily during storms. Lion’s tailing may also result in sunburned bark tissues and waterspouts. Climbing spikes are sharpened steel spikes used to help tree care providers climb trees. These spikes puncture the tree’s bark and cause tree tissue death as well as open wounds that can lead to insect infestation or disease infection. Climbing spikes should NEVER be used when trimming a tree. Instead, professional tree service companies use proper tree trimming techniques and equipment such as ropes, climbing harnesses, aerial lift devices, and cranes. Wound dressings were once recommended. It was thought that these dressings accelerated wound closer and reduced decay; however, research has no substantiated this and in most cases wound dressing are not required or recommended. There are many tree companies still in business that use these outdated techniques discussed above. When you hire companies that use outdated techniques you are actually paying them to damage your trees. Here at RTEC, we make sure to abide by proper tree pruning techniques set forth by the Tree Care Industry, Association, International Society of Arboriculture and American National Standards Institute. Our tree trimming services maximize the health and safety of your tree. A properly pruned tree should look “natural”. Proper cuts need to be made so that the tree can heal correctly. Improper cuts lead to insect, disease, and decay. Proper cuts should be smooth with no jagged edges or torn bark. Proper cuts are made just to our outside the branch collar. Pruning here most closely simulates where branches are shed naturally. Trimming the tree branch here does not damage trunk tissues. As a homeowner, make sure pruning objectives and pruning type are established prior to contracting pruning with the company. This includes whether it is a hazard prune or maintenance prune and what type of branches/how large diameter of branches they will be removing. You may not see as many branches removed as you expected when your tree is getting pruned. And you may wonder if you got enough pruning for what you paid. You can rest assured that the value of tree trimming doesn’t lie in bulk removal of branches. Value comes from the specific size and type of branches being removed, such as deadwood or branches under a certain diameter, and the branches being removed with proper cuts. Improper pruning leads to insect infestations, decay, diseases, and sometimes the death of your tree. You could end up spending hundreds to thousands of dollars to treating your trees to mitigate the damage caused by improper pruning. And if your tree does die from factors of improper pruning you can spend even more having the tree removed, stump ground, and replaced. Either way, the money you save going with unprofessional companies that don’t abide by proper tree pruning techniques are nothing compared to the expenses you will incur fixing the damages.